Our 'material issues' are those issues that matter most to our business and our stakeholders. We work with our staff and stakeholders to identify these issues. A balanced mix of internal and external stakeholder groups with which we regularly engage. 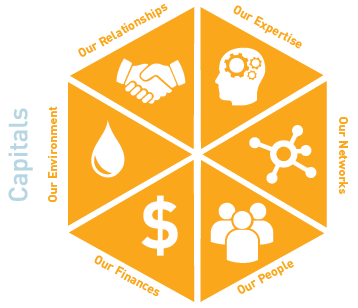 How our relationships and investment in our customers, partners and community helps us achieve our strategic goals and create value. The environmental resources we use every day that in turn create carbon emissions which we strive to minimise. Is our physical nationwide network of delivery and distribution facilities, allowing us to do what we do increasingly effectively. How we recruit and invest in our people, developing the right culture to succeed. The unique blend of knowledge, skills and experience our people have and use to deliver existing, and develop new, products and services. Relates to our financial performance, such as profitability, and how this allows us to invest in those things that create value. 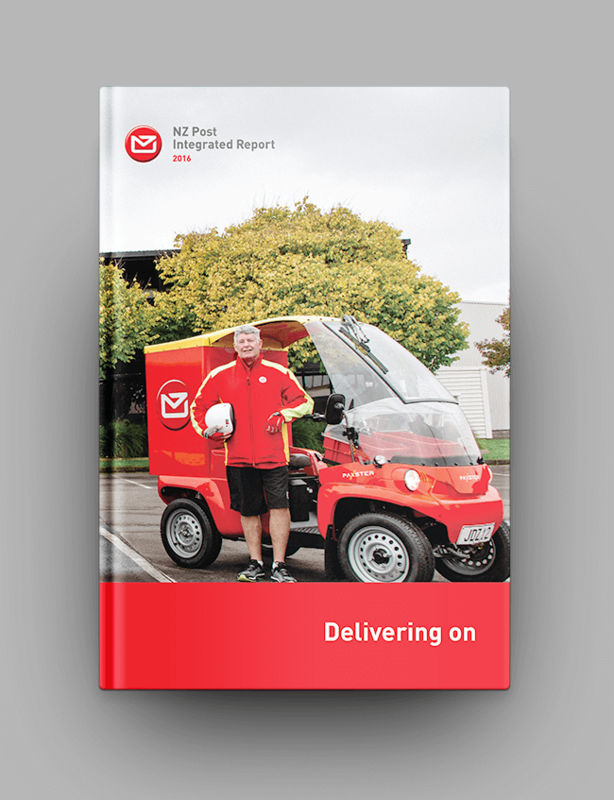 The old adage ‘less is more’ has never been more apt for New Zealand Post, as we strive to provide outstanding service to our customers while keeping vigilant control of the costs of doing so. Trade-offs are inevitable, but they’re far outweighed by the benefits that cost-effectiveness, efficiency and simplicity bring. In the past few years we’ve gradually streamlined and reshaped our business, so that today we have a single-minded focus on mail and logistics that’s reflected in our people, our structure and our day-to-day operations. From this position of strength we’ve spent the past 12 months exploring new ways to reduce our costs – of which many have brought opportunities to improve our customer relationships too. Ability to attract, nurture and retain talent. 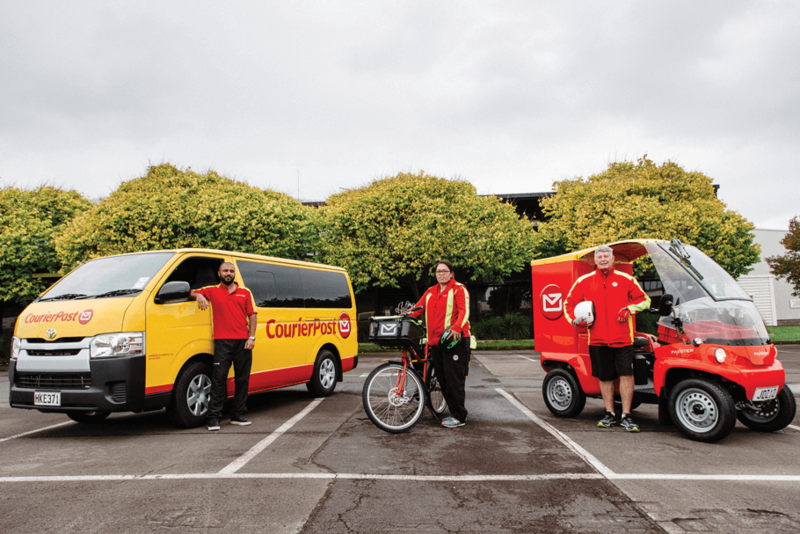 "The abilities, attributes, attitudes and aspirations of our people underpins our ability to transform in a way that is both relevant and sustainable"
"Innovation is in NZ Post’s DNA, there are many examples in the past. And innovation with the workforce plays a big role"
Piloting a new business model at our Seaview branch, with the aim of finding new ways to meet our customers’ needs for convenient, reliable and professional service while achieving operational efficiencies and reducing costs. During 2015/16 we continued our drive to eliminate duplication in the way we work,with the aims of more consistent customer service, more efficient operations, a reduced risk burden and lower overheads. Consolidating the domestic aircraft fleet that carries our volumes from eight planes to three Boeing 737-400s, through a joint venture between airline service suppliers Airworks Flight Operations and Fieldair Holdings, a subsidiary of Freightways. A single aircraft type and a shared network gives lower overhead and maintenance costs, lower fuel costs, greater transport efficiencies, more rapid recoveries from disruptions and a faster overnight parcel delivery service.The agreement also includes a controlled cost structure that mitigates the risk of large fluctuations in aviation expenditure. Continuing to explore ways to lower our running costs by improving the energy efficiency of our workplaces, reducing the waste we dispatch to landfill and cutting the fuel consumption of our vehicle fleet. We’re also taking a whole-of-value-chain approach by encouraging and supporting our customers, suppliers and communities to do the same. Update and improve our processes for identifying and reporting on hazards and incidents, with a goal of reducing the number and costs of workplace accidents and illnesses.